Definition at line 7 of file client.c. Definition at line 8 of file client.c. Definition at line 6 of file client.c. Definition at line 9 of file client.c. Definition at line 341 of file client.c. Definition at line 267 of file client.c. Definition at line 206 of file client.c. Definition at line 32 of file client.c. Definition at line 113 of file client.c. Definition at line 351 of file client.c. 365 printf("USAGE: client.exe <test_number> [test_value] [interactive]\n"
368 "1. NULL pointer test\n"
Definition at line 449 of file client.c. Definition at line 454 of file client.c. Referenced by m_CtxClose(), m_CtxOpen(), and m_CtxOpen2(). 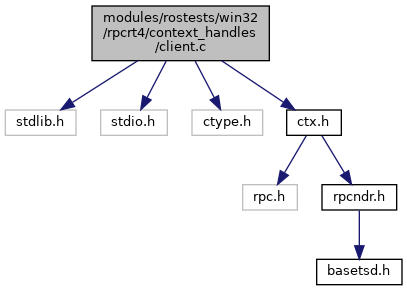 Referenced by m_CtxClose(), m_CtxHello(), m_CtxOpen(), and m_CtxOpen2(). Definition at line 340 of file client.c. Referenced by interact(), and main().